MADISON, WI – The department of family medicine and community health of the UW School of Medicine and Public Health will take part in a multi-site Food-and-Drug- Administration-approved Phase III trial investigating MDMA as an adjunct to psychotherapy for the treatment of severe post-traumatic stress disorder (PTSD). Other trials using MDMA, a component of the street drug Ecstasy, have shown such promise that the FDA last August granted the Breakthrough Therapy Designation to MDMA for the treatment of PTSD. In Phase II trials, after two sessions of MDMA-assisted psychotherapy, 56 percent of the participants no longer met criteria for a clinical PTSD diagnosis. One year later, 68 percent no longer had treatment-resistant PTSD. 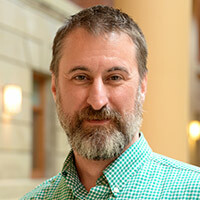 Associate professor of family medicine Dr. Randy Brown and assistant professor and co-principal investigator Dr. Christopher Nicholas, a clinical psychologist, will lead a clinical trial in Madison to further investigate the effectiveness of MDMA with psychotherapy for PTSD. The randomized, placebo-controlled trial, considered the gold standard of clinical research, will be conducted at 16 research sites in the U.S., Canada and Israel. Up to 300 people will be enrolled at the 16 sites. At least seven will be enrolled in the Madison clinical trial. The clinical-trial participants will have three sessions with either MDMA or a placebo in conjunction with psychotherapy. MDMA will be given in three single-dose inpatient psychotherapy sessions spaced three to five weeks apart. The study includes rigorous preparatory and integration sessions prior to and immediately following an MDMA session. The integration sessions address a variety of issues while answering questions the participant may have, addressing any difficulties the participant may have felt and discussing new insights and perspectives. Nicholas said the drug tamps down the hyperarousal symptoms associated with PTSD while also increasing their sense of connection and safety with the therapists, leaving the participants more open to experience and making new insights about the challenging thoughts, feelings and memories associated with their trauma history. “The psychotherapy is non-directive. The MDMA has the potential to allow participants to become more willing, open, and curious about aspects of their trauma arising during the therapy sessions. Our role is to facilitate and support whatever discomfort arises, asking questions like ‘Can you be present with those feelings?’ Like other well-established therapies, exposure and cognitive restructuring are important components of the therapy. However, a unique characteristic to this approach is that the MDMA serves as a catalyst, allowing these processes to manifest in a more spontaneous and self-directed manner,” said Nicholas. The clinical trials at all 16 sites are sponsored by the non-profit Multidisciplinary Association for Psychedelic Studies (MAPS). MAPS has been fundraising for MDMA research for more than 30 years. If you are interested in participating in the clinical trial, email maps.madison_mailplus@wisc.edu.